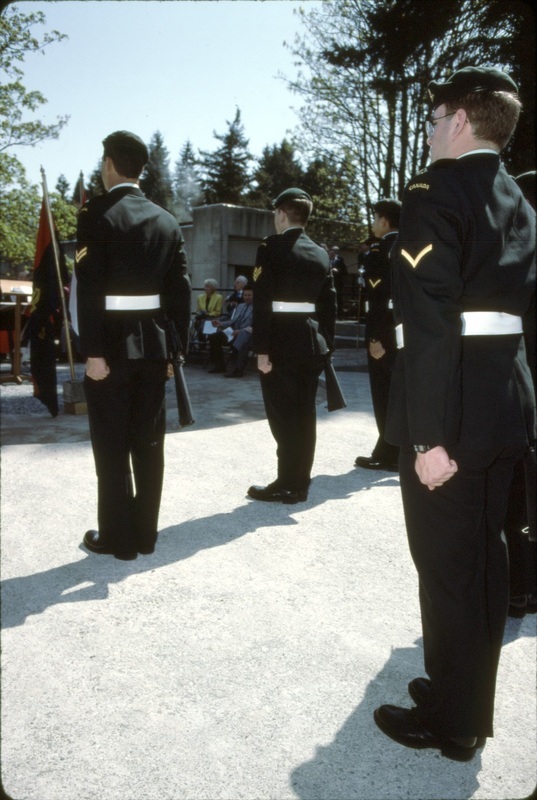 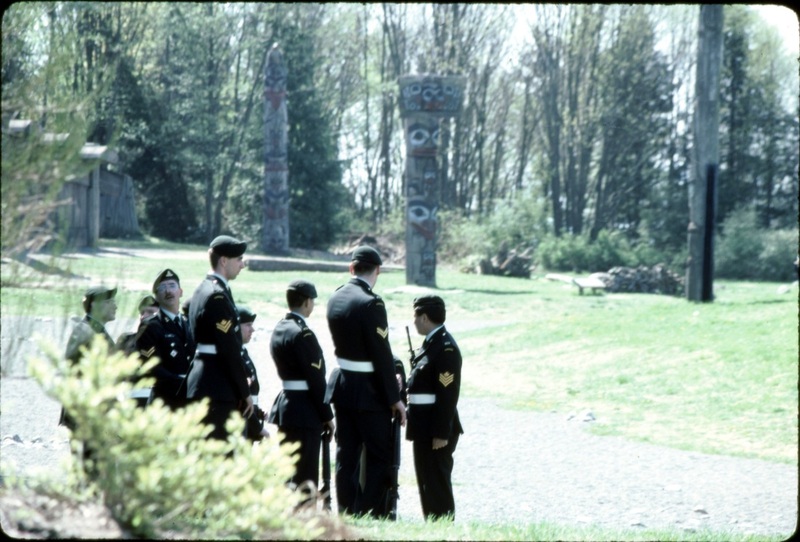 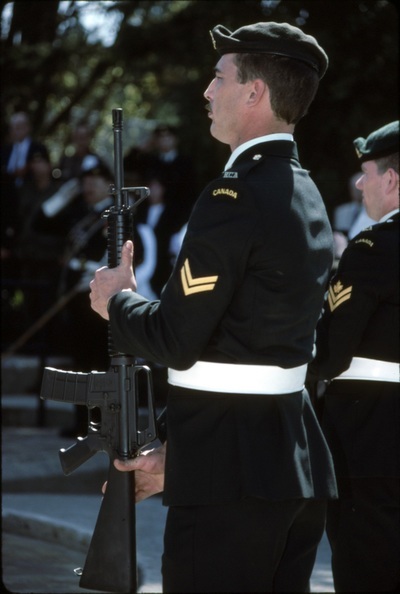 A Quarter Guard was assembled for the ceremonies that took place this day. 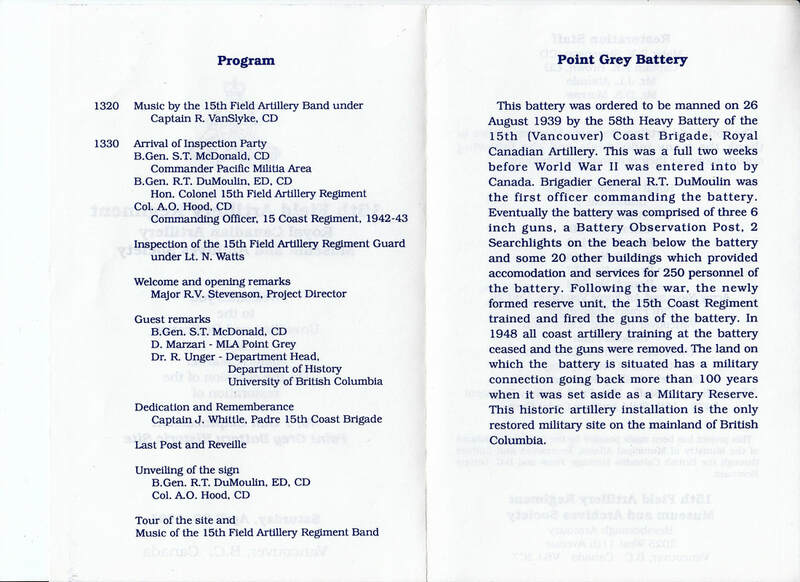 A story from one of the participants would be most appreciated. Bombardier Randy Philips, Master Bombardier Kevin Rankin,Gunner William Martinez, Bombardier Rob Wishnicki, Bombardier Drew Bartlett, Ric Bowes and Gunner Buckham were on the guard. 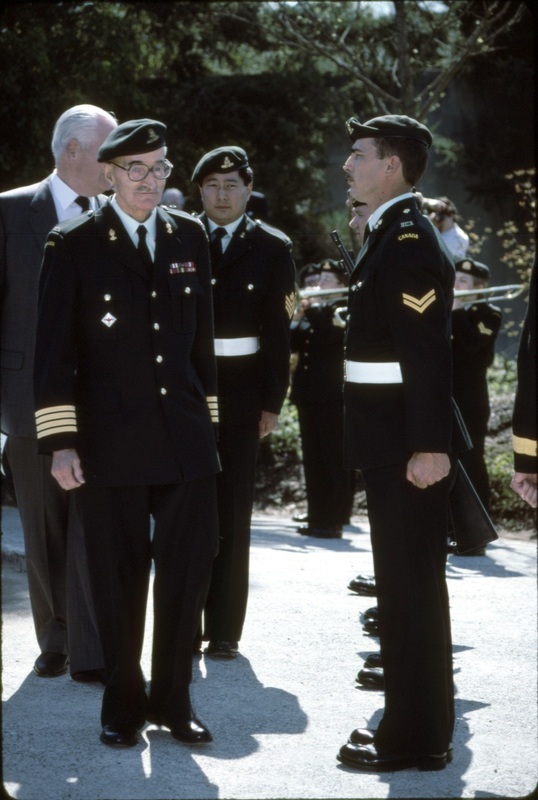 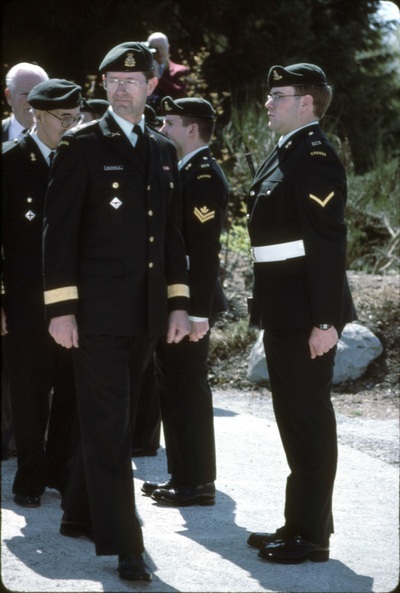 ​Honorary Colonel Theo DuMoulin ED CD and Brigadier-General Stuart McDonald inspect Sergeant Mike Imada and the guard. 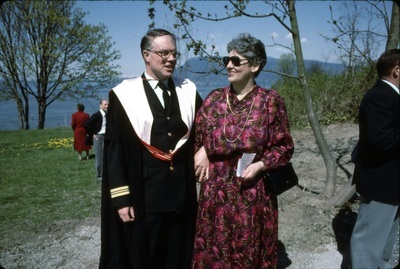 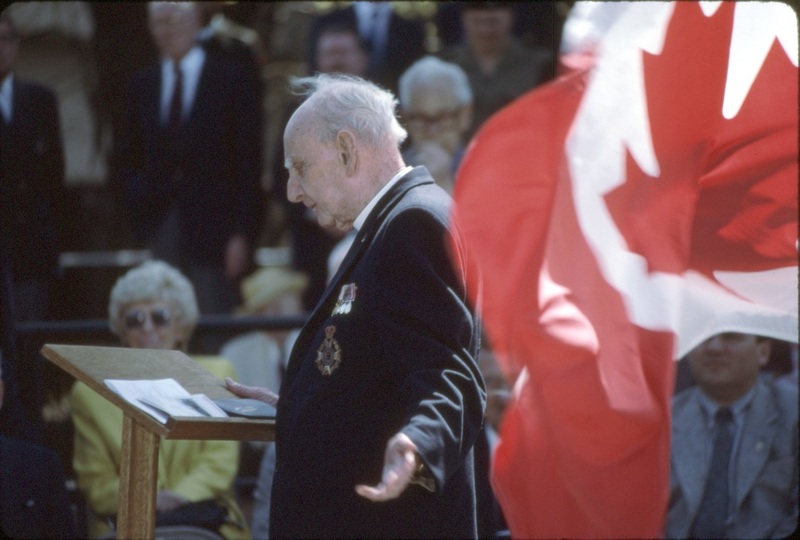 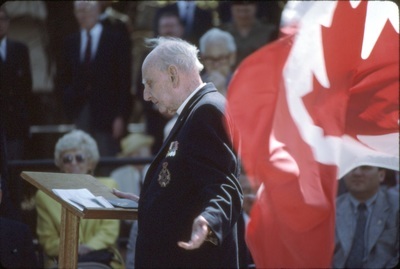 The Honorary Colonel, Brigadier RT DuMoulin ED CD was certainly present as he was the original Battery Commander of 58th Heavy Battery which was stationed at Point Grey Fort. 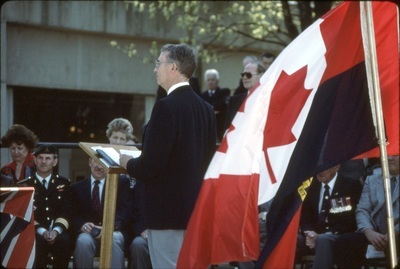 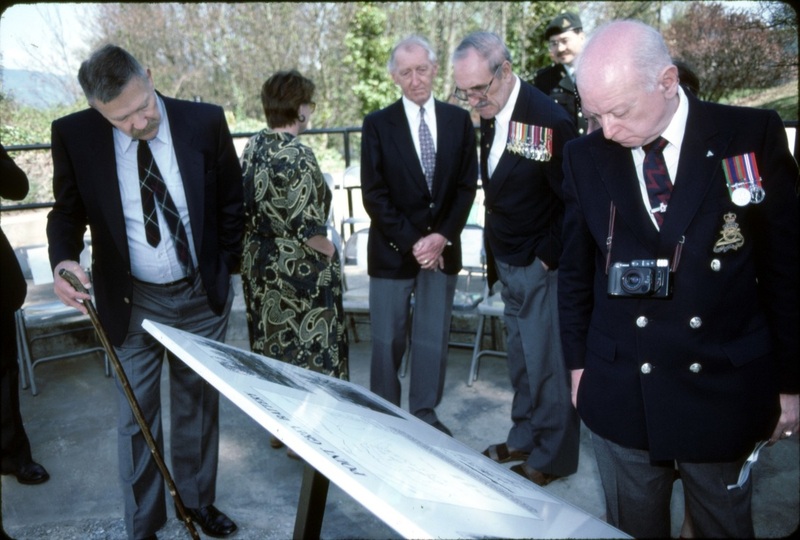 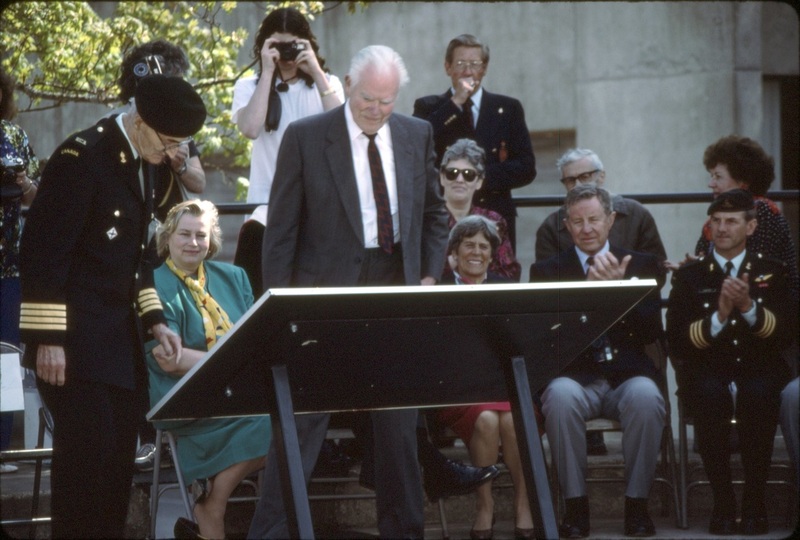 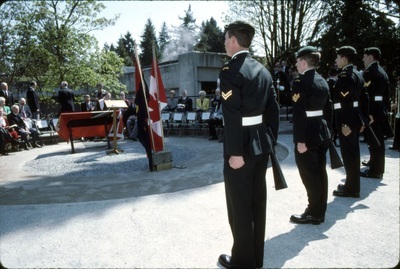 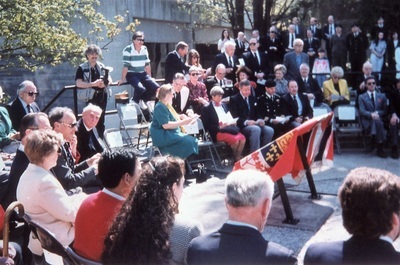 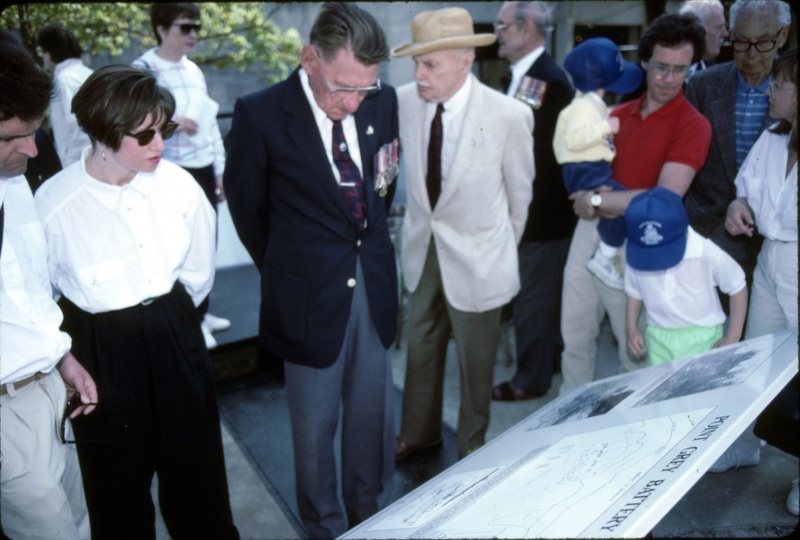 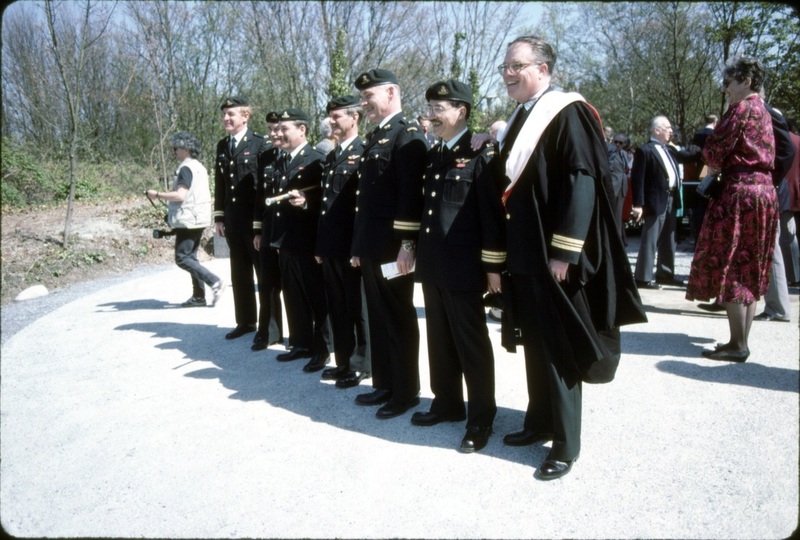 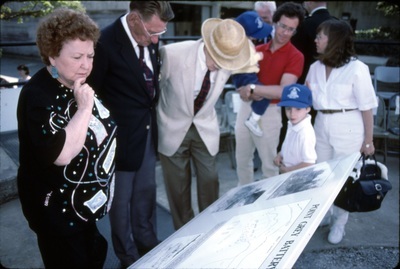 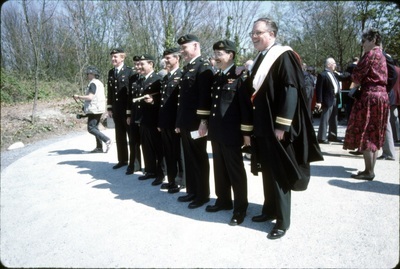 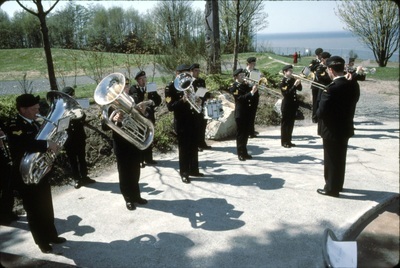 The unveiling of the descriptive plaque for the Point Grey Fort. 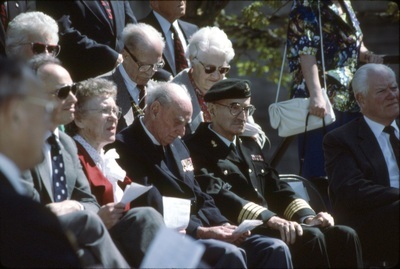 ​Major Peter Moogk and his lovely lady, Susan, were present. 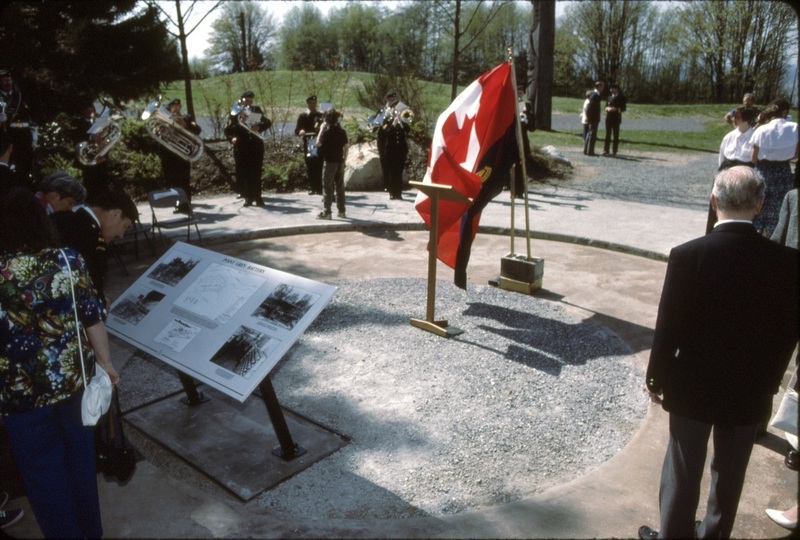 Peter was instrumental in bringing forward the history of the Fort before the bulldozers arrived to build the Museum in the location. 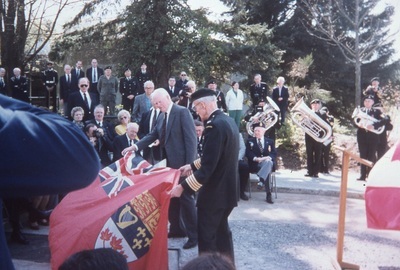 The regimental members present were recognized and included Captain John Hawthorne, Major Bob Mugford, Master Warrant Officer Dave Levien, Lieutenant-Colonel John Carter, Captain Bill Hall, Major Al T Woo and Major Peter Moogk. 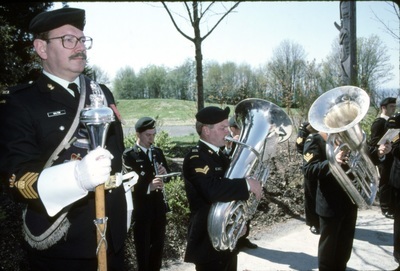 The Regimental Band was present as well with the Director of Music Captain Richard Van Slyke and the Drum Major Warrant Officer Clive Walton. 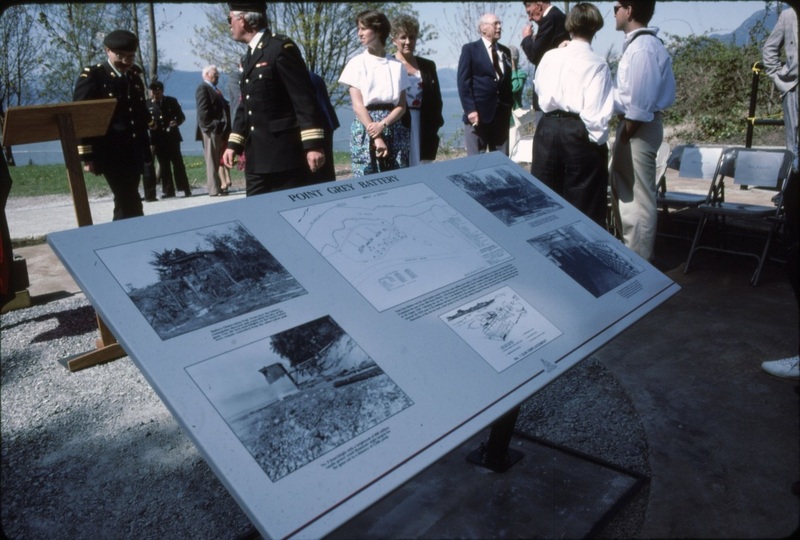 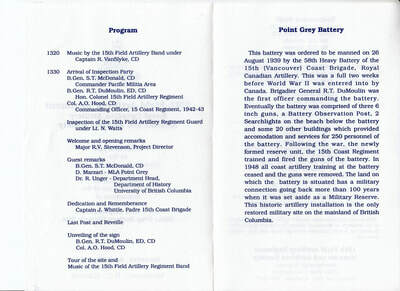 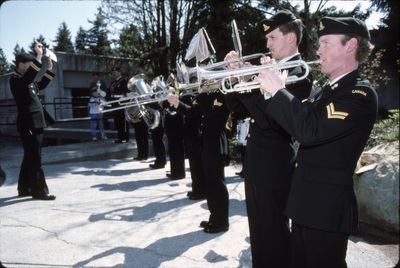 The official unveiling of the plaque commemorating the Point Grey Battery in Vancouver, BC. 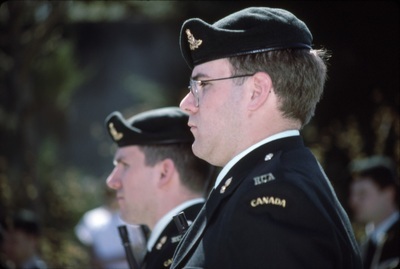 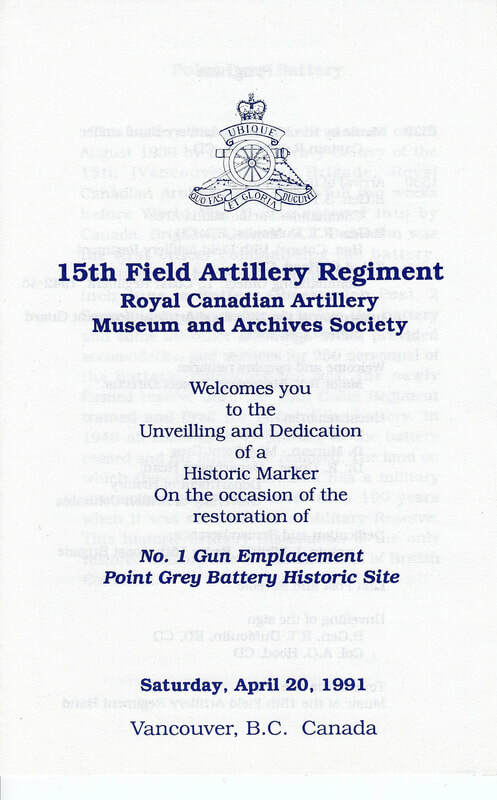 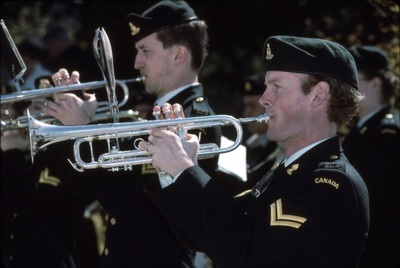 Part 1 includes the arrival of Brigadier-General Stuart McDonald and the inspection of the Quarter Guard with the Band of the 15th Field Artillery Regiment RCA. 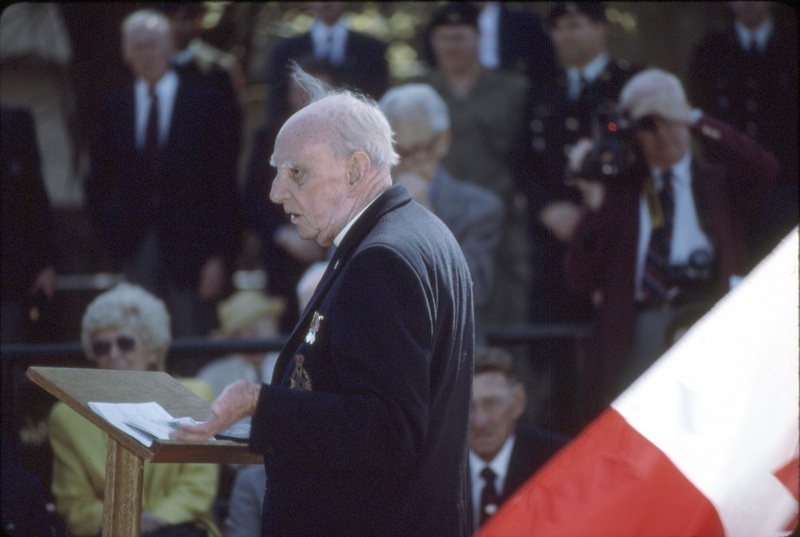 Part 2 includes speeches by Major (ret) Vic Stevenson and Brigadier-General Stuart McDonald. 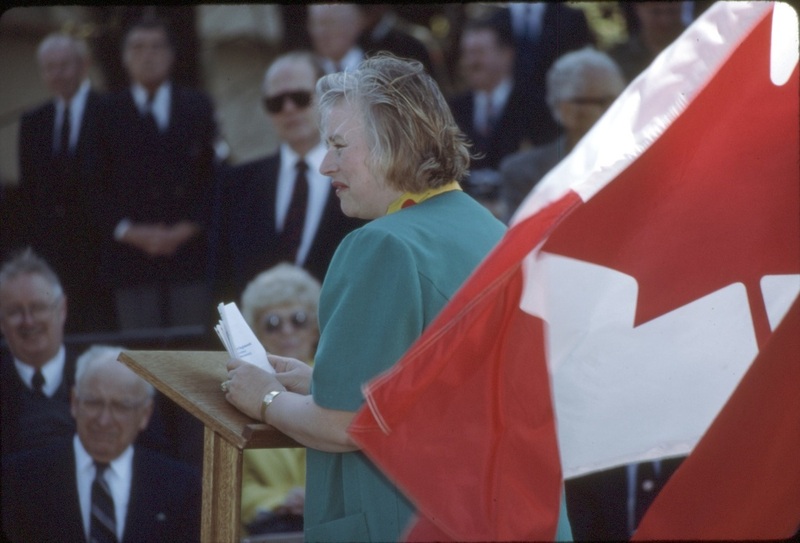 Part 3 includes speeches by a city councillor and university official. 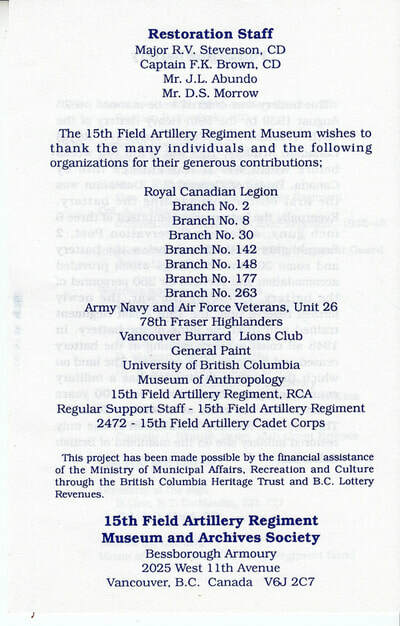 ​The attached file provides a synopsis of each of the videos.